At Family Planning Associates Medical Group in Phoenix, Arizona we are a nonjudgmental, safe and caring environment. We welcome all patient comments. Feel free to leave patient comments under our online Patient Feedback form. We’ll do everything we can to make sure you have a comfortable experience. Your responses to the following Patient Feedback form are directly responsible for improving our services and overall patient experience. All responses on the following patient feedback form will be kept Confidential and Anonymous. Each field does require input, so enter no comment if you don’t have a comment. What was most important to you when choosing a clinic? Do you have any suggestions or comments for our front office team? Do you have any suggestions or comments for the person who did your ultrasound? Do you have any suggestions or comments for your counselor? 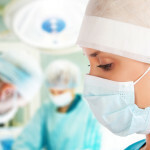 Do you have any suggestions or comments for the surgical assistants who helped with your procedure? Do you have any suggestions or comments for your recovery nurse? Would you like to suggest or say anything to your doctor?